As the New Year rings in it is time for the non-Myanmar ethnic nationalities of Burma to see clearly of where the country is heading and what is their fate ahead? Of course the country has just the curtain on the 27th South East Asian Games and failed to beat Thailand as overall winners, but its symbolic triumph as host was far more important than jumping up from the 7th place to 2nd. However, it presented a crucial test for Burma’s move toward becoming an open society and its integration into the international community. Burma will also chair ASEAN, like the SEA Games, the chair was a reward for serious efforts toward reform and national reconciliation. It will be tough times ahead- for as the region prepares for economic integration and seeks to appease rival world powers. Major global powerhouses China and the United States are competing politically, economically and militarily to create a new world order. Some regard Washington as a necessary balance against Beijing's regional influence, while others see China as an ally that guarantees economic development. Some ASEAN members are locked in disputes over territory with China. Meanwhile, China and Japan, are at loggerheads over disputed islands in the East China Sea. Each is looking for ASEAN to support its claim. Will Burma be able to lead the region through difficult a difficult environment in the year ahead. Burma will be chairing the regional association at the most pivotal time when the US, China, Japan and the EU are zooming in like laser beams No doubt, Burma's current transformation since 1991 like releasing political prisoners, increasing media freedom, expanding civil society groups, and establishing a national human rights commission and a peace-building institute, are some hallmarks of new Burma, we must not forget that there was an intense ethnic cleansing and genocide of the ethnic minorities, the ruling military backed party and the hard liners orchestrating sectarian strife, an all-out war to the Kachin, bribing the leading ethnic leaders, land grabbing by government backed companies, not to mention creating a crony capitalism or curbing press freedom again. But the most crucial aspect is that it has successfully used the Divide and Rule Policy again, on the non-Myanmar ethnic nationalities. The government of Burma engaging the armed ethnic groups on individual or group-wise basis and not on collective bargaining position, which is the central demand of the ethnic nationalities armed groups and is bent on a “divide and rule” policy. And to top this, the recent Thein Sein government’s rejection of the Panglong Agreement of 1947, a core treaty between the Myanmar and the non-Myanmar to form the Genuine Union of Burma have crushed almost all hope of a peaceful, political solution. Instead, the government maintained that negotiation process would only take place on the basis of the illegal 2008 Nargis Constitution, which is designed to give the Tatmadaw a near complete monopoly in the political decision-making process is illogical. The UNFC (United Nationalities Federal Council) formed in February 2011, seems to draw the conclusion that where the ethnic nationalities are concerned, that the successive military regimes, including the recent military-backed one, are all untrustworthy and lack of historical responsibility to right all the wrongs that have accumulated all these years. The ethnic nationalities are ready to be part of the federal union, if their rights of self-determination, equality and democracy aspirations could be fulfilled. And they simply don’t see any hope in the military-drawn, 2008 Nargis Constitution. That has let the ethnic groups to fall back on Panglong Agreement, which has been the sole legal bond between them and the Myanmar. Taking cue of the international mood and regional configuration, most ethnic nationalities have opted to rebuild a new federal union, even though they could as well embark on a total independence platform. The point to ponder now, is if Thein Sein regime would insist that the ethnic nationalities forget the Panglong Agreement and should be satisfied with some piecemeal hand out, under the rubric of 2008 Nargis identities and sovereignties accorded to them by their forefathers then it will be a failure. This can lead to Balkanization if the Thein Sein government would cling stubbornly to its racial, military supremacy stance vis-à-vis the ethnic nationalities. Contemporary history of Burma has proved, that whenever a new administration extended a new cease fire was proposed to demonstrates is olive branch, only to have it break down because the Myanmar dominated government has never harbour a good will that finally lead to more distrust and conflict. The civilian government of U Nu endeavour to have a cease-fire with the Karen many times but being a Mahar (r[m) chauvinistic spirit, it always broke down. Gen Ne Win called for a ceasefire and all ethnic nationalities wanted to have some form of autonomy within a federal system, while the government asked them to surrender their arms and come back into the legal fold a zero-sum policy of ‘annihilation’ towards any dissent. With the positions of the government and the ethnic groups firm and so far apart, and with no apparent trust between the parties, the talks finally broke down and fighting soon resumed and Ne Win then built a military machine with the intention of wiping out the resistance, but he never succeeded. A new Tatmadaw regime SLORC, in 1989 took advantage of a serious mutiny within the Communist Party of Burma (CPB) by entering into ceasefire agreements with drug warlords who splintered off from the CPB. The result was a booming drug trade in northern Burma as the regime simply turned a blind eye towards the production and export of heroin and methamphetamines. With the initial ceasefire agreements in place, others fell like dominos and the regime agreed to ceasefire terms with more than a dozen ethnic armed groups. These armed militias and their political representatives were told at the time that if they were patient until a new civilian government was formed, then discussions of their political demands would take place. The ethnic groups waited for more than fifteen years, but then in 2009, with the polls to elect a new civilian government already in sight, the regime blundered badly and shattered any trust that existed. Rather than laying the groundwork for the anticipated dialogue, the Junta demanded that the ethnic armed groups transform into members of its border guard force (BGF) and began applying both political and military pressure to force them to do so. This only deepened the level of mistrust and led directly to the resumption of armed conflicts. Under the skirt wearing quasi-military government, the border guard force proposal has been dropped, but the ethnic groups are still waiting for the long-promised political dialogue to be initiated. Now with Daw Aung San Suu Kyi release and visiting the Western countries the regime initiated a national level peace conference in the future and political observers speculated that Aung San Suu Kyi will even be invited to attend. At the time of this writing it is still a pipe dream. Before any such national level discussions take place, the Tatmadaw and government have to look at the ongoing conflict from a different perspective and no longer stick to their previous, military-dominated strategies and policies. Thein Sein says he wants peace but in others revealing that his understanding of the ethnic struggle is one dimensional and deeply-rooted in the Tatmadaw’s arrogant view of ethnic nationalities and their issues. 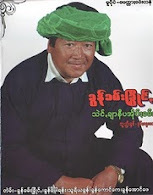 The prime example was his remark calling the Kachin resistance, Thaung Gyan Thu (ေသာင္းက်န္းသူ). The same could be said with respect to the other ethnic armed groups, including the Karen National Union, since losing its headquarters in 1994.Therefore, the military option will never lead to a lasting peace. Now it is attempting to call a nationwide cessation of hostilities, during which preliminary talks can take place at the regional level to understand and resolve local issues. Finally, a national dialogue—perhaps a conference—should take place between the leaders of the government and the ethnic groups, with the goal of reaching a long-term political settlement. Until and unless this happens the government must delayed plan to develop the ethnic regions. While the economic development of the ethnic regions is a laudable objective if undertaken with the right motivations, attempts to simply the development resources into these areas without at least concurrent efforts to reach a comprehensive political solution will at best be viewed with suspicion and could lead to more conflicts, because the government’s efforts will surely run headlong into the areas controlled by the ethnic militias and potentially conflict with the ethnic groups’ desire to make their own decisions regarding local development. It should be recalled that, the non- Myanmar communities themselves that they have jumped out of the frying pan into the fire for as soon as they were released from the clutches of the British colony they found themselves into the grip of the dominant Myanmar nationalists. From the 1980s onward, however, new developments in and out of the country forced the anti-Rangoon armed movements to reassess their original missions because both the local population and the international community are against the balkanization of the country and in the long run also the ethnic leaders discovered that it is more meaningful to live within the Union if they are treated justly. Like the colonial Burma, the Tadmadaw-ruled Burma is in effect a garrison state; unlike British Burma, the Myanmar generals continue to remain after a half-century of their monopoly rule. The bare truth is, the Tatmadaw leadership has never been keen on just and lasting peace with ethnic resistance movements as it always attempted to dictate the terms of the ‘peace’. Despite having instituted a series of domestic changes, Burma’s new government has thus far missed a chance to solve the deeply rooted conflicts with ethnic groups. A report titled “Discrimination, Conflict and Corruption – The Ethnic States of Burma,” leaders of the Ethnic Nationalities Council (ENC) said that the Burmese government is still engaging ethnic armed groups in a military manner—which they said is a mistaken approach that has failed to solve the problem since the era of Gen Ne Win. As a result, although Naypyidaw has made significant progress in other areas, such as relations with opposition leader Daw Aung San Suu Kyi, the suspension of work on the Myitsone hydropower dam and the relaxation of press restrictions, the government has not made any meaningful progress in the area of ethnic nationalities affairs. The ethnic realised that while Naypyidaw made positive progress in other areas, military conflicts initiated by Tatmadaw troops have actually been increasing in ethnic areas, especially in Kachin State, where about 100,000 civilians have been internally displaced. Separate hostilities have also been reported in Shan State. Burma, known to be well-equipped from a military standpoint, has an estimated 400,000 military troops, while ethnic armed groups are estimated to be round about one tenth 40,000-50,000 armed troops. A change from militarization to demilitarization is needed, and unless demilitarization takes place there is no indication that a real peace will be achieved in Burma. But the big question is how to demilitarise the Tatmadaw, a big bully for more than half a century? It must be a federal army with local militia s guarding their own states that has to be redrawn. On August 18, 2012, Naypyidaw announced that it offered an “olive branch” to the ethnic armed groups, encouraging them to contact their respective state or division governments as a first step toward meeting with a union government delegation. After the announcement, there were some minor peace talks reported in ethnic areas, but they had no significant results, according to observers, who recently visited ethnic areas. Some analysts have argued that the delay in addressing the ethnic issues may stem from an internal power struggle taking place between hard-liners and reformists in the current government cabinet. Even though President Thein Sein used his civilian authority to rebut China with respect to the Myitsone Dam, he may not have the power to effectively deal with ethnic armed conflicts because they fall under the authority of the Tatmadaw. Some ministers in the current cabinet who were hard-liners in the previous military junta are not happy with the suspension of work on the Myitsone Dam. The power struggle is an obstacle to progress on the ethnic issues, and the ethnic conflict needs to be resolved in order to bring about any lasting political solution in Burma. While Burma's nascent political reforms hold promise, economic changes will be just as important to arrest the decline of what was once one of Southeast Asia's most prosperous countries it is still dominated by the military, that has scarcely begun to fix the mistakes made since the military took power in 1962, and fighting between the army and ethnic nationalities who want more autonomy has intensified since the elections. It is still rated on a key U.N. index as the region's least developed. In the past two years the government has accelerated its privatization of state enterprises and assets, but liberalization has not translated into a level playing field. Buyers of key holdings have been Tatmadaw -run corporations and government cronies, Transparency International, a Germany-based private group that campaigns against corruption, ranked Burma 176 out of 178 countries in its 2010 global index on graft — equal with Afghanistan and one place above last-place, lawless Somalia. Solving Burma's economic problems could pale next to the challenge of its ethnic conflicts. Ethnic nationalities scattered around Burma's western, northern and eastern frontiers make up nearly half of the 55 million people. Various splinter groups representing an array of ethnicities have all taken up arms at some point. Not a single group that have reached cease-fires with the government have won political power. Reports of horrific Tatmadaw abuses — the burning of villages, rapes by soldiers and using civilians as minesweepers — have seeped out of the isolated country's borders for years, and fueled calls for a U.N.-backed commission to investigate possible war crimes. Frustrated by the government's failure to offer serious negotiations, a number of the traditionally fractious armed groups this summer formed a coalition to strengthen their hand. Whether they will lead anywhere remains to be seen. Previous talks and cease-fires have foundered, and the Tatmadaw is still reluctant to grant the autonomy within a federation as the ethnic nationalities want. Talks with Karen National Union have been offered business opportunities in exchange for peace but no promise of constitutional reform. The scenario as it is now according to the Burmese saying (ေစရာသြား၊ ခုိင္းတာလုပ္၊ ေပးတာစား၊ ျပန္မေျပာနဲ႔) in short do as I command and take what is given and don’t talk back . In other words they must have according to the Burmese language (ေခၚရာစင္းလာ၊ ခုိင္းတာလုပ္၊ ခံမေျပာႏွင့္) come if you are called, do as I say and don’t talk back. With this kind of attitude which the new quasi-military government have, democracy and federalism is still a distant goal. Inadequate land laws have opened rural Burma to rampant land grabbing by unscrupulous, well-connected businessmen, who anticipate a boom in agricultural and property investment. If unchecked, the gathering trend has the potential to undermine the country's broad reform process and impede long-term economic progress. Under the former military regime, land grabbing became a common and largely uncontested practice. Now with the new democratic order as local communities band together to fight back against seizure of their lands there were several problems. Many of the current land disputes date to the period before the 2010 general elections. The Ministry of Agriculture and Irrigation's Department of Agricultural Planning reported in January 2010 that 216 companies had received a total of 1.75 million acres (708,200 hectares) of farmland in the form of state concessions. Many of the disputes now being contested are related to land taken in the mid- to late-1990s.This was especially the case in areas along the border with China in Kachin and Shan States and along the border with Thailand in the Karen and Mon States. The army has maintained a strong presence in these areas to battle ethnic insurgencies and uphold tenuous ceasefires with other insurgent organizations. Much of the land was taken for military camps and military access roads, but also for commercial projects either run by the military or companies with ties to the military. Current land grabbing is forcing farmers off their land for commercial agri-business ventures, infrastructure projects, tourism development, industrial facilities and gas pipelines. Political and economic reforms, together with relaxed sanctions and a better relationship with the West, have raised expectations of a foreign investment-led economic boom. Rising land grabbing is resulting in greater displacement and landlessness among Burma's rural population, especially in ethnic nationalities areas. It is understood that Thein Sein regime is trying to gain legitimacy and get away with impunity for the crimes against humanity committed by the successive military regimes, BSPP, SLORC, SPDC, and USDA. Under the 2008 Nargis Constitution, the state is the ultimate owner of all land and natural resources above and below it. Land rights are exclusively in the form of either leasehold rights, user rights, or the right to cultivate a certain plot of land. These rights are granted on the approval of local government bodies appointed by the central government. In this reform vacuum, ethnic groups and local communities have become extremely concerned over the pace and style of economic change under the Thein Sein government, often involving Asian investors and business favourites of the ruling elite. The view is widely held that economic designs are behind many government strategies towards ethnic groups, including recent offensives in the Kachin and Shan borderlands. Even though the China-backed Myitsone dam Project in the Kachin state is currently suspended, the other major projects, such as the oil and gas pipelines from the Rakhine state to China and the Tavoy Development Project with Thailand, are continuing, and displacement and the lack of local consultation or benefit are increasingly the source of unrest and protests among community groups. Many ethnic organisations believe that there should be a moratorium on further economic projects in their territories until inclusive political agreements are reached. Economic resentment also risks fuelling communal tensions, including with Indian and Chinese minorities that have been reflected not only in Buddhist-Muslim or “Rakhine-Bangali (Rohingya)” violence, but also in inflammatory exchanges on the internet and in local media. In fact, security repression of protests at the Letpadaung copper mine – a joint-venture between Tatmadaw and Chinese state-owned companies – has warned that concerns over non-consultation, displacement, the exploitation of natural resources and enforced economic projects are not simply an ethnic nationalities affair. It is vital therefore that transparent and inclusive decision-making processes over economic policies are prioritized at both the national and local levels. Long overdue attention needs to be paid to the economic basis of ethnic grievance and conflict. Over the past year, a general structure has developed among the different international peace efforts. These include the Norway-backed Myanmar Peace Support Initiative, Euro-Burma Office-supported Working Group on Ethnic Coordination and Japan’s Nippon Foundation. For all, their main gateway to the country is through the Burma Peace Centre, which is widely regarded a government extension. Meanwhile China remains the most dominant international actor, engaging directly with both the government and ethnic opposition groups. As demonstrated by China hosting recent talks in the Kachin conflict, Chinese stakeholders are likely to continue working hard to ensure their pre-eminent position for a variety of economic, regional and security reasons that are quite different to Western agendas and perspectives. In this changing landscape, ethnic groups often feel trapped between different Burmese administrations and international interests. They thus hope that, in the coming period, domestic and international understanding of ethnic needs and interests are broadened. As they point out, ceasefires of varying kinds have already existed in Burma for over two decades now. The challenge is to move forward to nationwide agreements that will bring about inclusive and lasting peace. “Third party” support could be very helpful. At the same time, international actors must pay greater attention to the economic impact of investments in the borderlands. Developments that will benefit the people have always been wanted. But, despite the spread of ceasefires, perceptions of exploitation and exclusion have been increasing during the past year, and this could become a very regressive trend if urgent attention is not paid soon. There was a deep concern over the lack of legal protection of land rights of ethnic communities, who are increasingly losing farmland to mining or agro-industry firms. The 2012 Land Law and other laws, they said, often fail to recognize land tenure of farmers—especially those reliant on traditional shifting agriculture—or local customary law regarding land. Most ethnic villagers struggle to register land ownership as the procedures are too expensive or because they lack the required ID cards. Most of Burma’s ethnic nationalities live in the border regions rich in mineral wealth, timber, fertile land and rivers suitable for hydropower dam development. The areas are plagued by long-running ethnic rebel insurgencies against the central government. After most rebels groups reached ceasefire agreements with the government, there has been an influx of local and foreign companies seeking to build mines or agro-industrial plantations in ethnic areas. Often the firms gain support from the military or, at times, from ethnic militias. The people feared that peace would lead to a massive surge in land-grabbing, deforestation and the damming of rivers. An increase in resource-grabbing by military-supported investment projects could also lead to a flare-up in the ethnic conflict. Burmese military had used the ceasefires to expand its presence and to push through projects that confiscate resources from local communities. When pushed to respond to questions relating to the right of refugees and IDPs to return to their land that they abandoned due to conflicts, government officials have claimed that this is “materially impossible”. The government’s justification for this is based on the fact when state owned entities, including the military, acquired land that was abandoned by fleeing villagers it was done in line with the laws in place at the time, which gave the government official title over nearly all rural land. These regulations are still largely in place today. Although the central government officially owned all the land in the country for decades, large numbers of rural people lived and farmed land using centuries old forms of customary land ownership, which determined inheritance and succession issues, as well as land sharing. The Farmland Law and the Vacant, Fallow and Virgin Lands Management Law – completely ignore customary land titles and actually make it easier for well-connected businessman and military cronies to seize land from small-scale farmers. According to Displacement Solutions director Scott Leckie, “The new laws willingly give Carte Blanche to the government and their closest allies the power to essentially do whatever they want in areas that they would like to exploit, is a clear obstacle to a sustainable peace throughout the country”. Leckie says he wants to see the government incorporate policies that respect the rights of rural farmers including those who for generations have engaged in sustainable rotation crop practices, something that the new laws discriminate against by assuming that fallow land is simply “vacant”. He also wants to see Burma’s government adopt international legal standards that address the land rights of those displaced by conflict. The Pinheiro Principles – a set of guideline that were adopted by the UN’s Sub-Commission on the Protection and Promotion of Human Rights. “We believe that now is the time to start looking into the application of the Pinheirio Principles by the government as well as by the different ethnic groups. And discussions need to take place within the context of the Pinheiro Principles that focus on restitution as the preferred remedy as is stipulated in the principles,” says Leckie. The government’s reluctance however to allow thousands of people to return to land they abandoned following the end of a conflict contravenes the Pinheiro Principles and other widely accepted international legal standards, which give displaced people the legal right to recover their homes, lands and properties. This could lead to serious problems in future and perhaps even a return to full blown conflict in areas which have been subject to recent ceasefires. “Unresolved restitution questions very easily can come back to haunt you down the road, as people feel increasingly frustrated and excluded and unable to access justice”. Already an increasingly bitter controversy has seriously tainted the planned return of Karen refugees living along the Thai Burma border. Refugee advocates and many of the refugee themselves complain that the Burmese and Thai governments are working with the United Nations High Commission for Refugee (UNHCR) to formulate a plan for the mass resettlement of tens of thousands of people behind closed doors. Whether these refugees will be able to return to their lands in Karen state when they leave their camps is very unclear. Refugee advocates fear that the central government wants to use the newly returned refugees for large-scale commercial agriculture projects like rubber plantations or rumored special economic zones. What is clear is that large amounts of the land that once belonged to the refugees is now home to numerous sprawling Burmese military bases – a fact that seriously complicates the refugees struggle to be able to return to their small scale farms that they worked before most were forced to flee in the 1980′s and 1990′s. It is visualised that a ceasefire in Karen state will not necessary translate into an easy time for the local rural population and small-scale farmers in particular. From 1994 to 2011 during the 17-year ceasefire that was in place between the Kachin Independence Organisation (KIO) and the central government, land grabbing by the military and crony- connected firms shot up in dramatic fashion displacing tens of thousands of people. According to land rights activists in Kachin state’s Hukaung valley, during a three year period that began in 2006 local authorities helped the Yuzana corporation and its owner Htay Myint – now an MP from the ruling Union Solidarity and Development Party – expropriate more than 200,000 acres of farmland for large scale plantations in an area that is supposed to be home to the world’s largest tiger reserve. Similar episodes occurred on a smaller scale in other parts of the state until the ceasefire collapsed in June 2011 when even more people were forced to flee. “When you look at what’s happened to ceasefire areas in terms of the land question is not looking very positive either, there’s been all sorts of evidence collected that there’s a direct correlation between ceasefire agreements and an increase in land grabbing. This augurs very poorly for refugees and IDPs seeking to return to those areas. It makes it that much harder to assert their claims over the land that they had before.” says Leckie. Thein Sein administration has continued to gain domestic momentum and international approval. The sociopolitical landscape is undoubtedly more dynamic and open since he assumes office on March 2011. But on the ground, reform is at an early stage, and livelihoods and security remain unstable in many communities. As said several thousand lives have been lost in violence and a further 200,000 civilians have been internally displaced. As in other political eras since independence in 1948, the main casualties are ethnic nationalities. - Land-grabbing on a disturbing scale. - In consequence, humanitarian needs remain immense and, in several areas, internal displacement has continued to rise. Criticisms are not always publicly expressed by government, opposition and international representatives involved in peace talks. But difficulties are deeply felt among communities and civil society groups on the ground. Sentiment has been growing that peace initiatives are top down, military-based, non-transparent and often excluding the voice of the local people. As a result, there is little consensus about the prospects of peace initiatives underway. Even though the “Union Peace-making” initiative of President Thein Sein is being promoted, the reality is rather more complex in the field. Even though ceasefire talks have taken place through different government approaches to different ethnic groups; there is no over-arching strategy nor national agreement on reform schedules and goals; the Burma Peace Centre is regarded a government project that does not reflect non-Myanmar peoples; business rather than politics and communities is the focus of many ceasefire activities; international agencies have different interests and priorities; and, in several ethnic regions, Tatmadaw officers appear to be continuing long term strategies of military pacification and “regional clearances” of their own. Against this backdrop, it is evident that two different tracks have emerged towards a nationwide peace process: a government initiative, coordinated by U Aung Min, and an ethnic-based initiative by armed members of the United Nationalities Federal Council (UNFC). A first meeting between the two sides was held in February 2013. But many difficulties lie ahead. Controversial issues include political dialogue, national inclusion, Tatmadaw agreement, economic policies, demilitarization, humanitarian access and the resettlement of displaced people, including an estimated 150,000 refugees (mostly Karen and Karenni) still living in Thailand. To improve understanding, a popular suggestion is that there should be an ethnic peace centre as part of efforts to broaden civil society involvement and national focus on the ethnic cause. Any successful peace process must be anchored in the community. But, for the moment, the perception remains that government and Tatmadaw leaders are in no hurry, with a “hidden agenda” as they bid to strengthen central control; they prefer to continue dealing with different ethnic groups differently; reinforcing a sort of a divide and rule policy and, with few exceptions, officials are more focused on bedding in the existing political system and status quo before the next general election in 2015 where Daw Aung San Suu Kyi could not compete. A similar sense of frustration over ethnic progress exists among ethnic political parties in the new parliamentary system. In general, greater unity is being achieved through ethnic parties in such networks as the Nationalities Brotherhood Federation. A consensus is growing towards federal goals similar to those of the UNFC. There has also been increasing inter-action between ethnic parties, armed ethnic groups and civil society in many parts of the country, especially in the Karen and Shan states. All support the ideal of parliamentary politics. However the criticism is widespread that the present political system and state legislatures do not represent ethnic needs or causes; ethnic parties are unable to promote real discussion or decision-making on critical challenges facing their peoples; and there is no indication as to how armed ethnic groups, their territories and goals can be incorporated in the new political system. Federalism remains a very controversial issue. A further concern is that Myanmar-majority parties, which dominate the parliamentary System, do not adequately understand or reflect the aspirations and requirements of ethnic nationalities peoples, who make up an estimated half of the population. Ethnic groups are especially critical that Myanmar majority parties – whether the pro-government Union Solidarity and Development Party (USDP) or opposition National League for Democracy (NLD) – have appeared reluctant to speak up or independently intercede on the violence in the Kachin state and other ethnic borderlands. Traditionally, people in urban areas, including politicians, are reluctant to talk about ethnic rights. They are especially wary of discussing federalism—something close to the hearts of Burma’s ethnic nationalities. After half a century of military rule, federalism is seen by many Burmese as a veiled attempt to divide the country. There are some, however, who have tried to tackle the ethnic issue head on. For example, the 88 Generation Students group sent a delegation to the KIA stronghold of Laiza to assess the situation there. They also offered to help the government negotiate an end to the conflict, but have so far received no response from Naypyidaw. The government, it seems, is only interested in moving forward with its own negotiating team, led by President’s Office Minister Aung Min. But even as Aung Min calls for talks, the Burmese Tatmadaw continues shelling KIA positions near Laiza, casting doubt on the sincerity of the government’s desire for a negotiated end to the conflict. “We have asked the government for a federal union for 50 years, but they are never clear on whether they want to accept it or not,” said Hkun Htun Oo, the chairman of the Shan Nationalities League for Democracy (SNLD) during a press conference. It is to be admitted that all the military Juntas of Burma are anathema to the word Federal, which in Burmese could be interpreted as Genuine Union of Burma (စစ္မွန္ေသာ ျပည္ေထာင္စု ျမန္မာႏုိင္ငံ). This is the long-standing demands of ethnic nationalities, because it will make or break and a certain degree of political autonomy and self-government in their respective regions has to be given and the Mahar Myanmar would not be able to lord over the ethnic nationalities. This is the crux of the Burmese problem. To try and rectify these failings, proportional representation or the agreement of the NLD to single “ethnic democracy” parties standing for elections in the ethnic Burma Policy. For the moment, however, both the USDP and NLD appear to count on “split” votes among parties in ethnically diverse areas. This greatly favours the prospects of nationwide Myanmar majority parties in the “first past the post” system in the country’s elections. Despite these differences, all sides recognise that constitutional amendments are essential if the present political system is to be made to work and truly represent all peoples. In particular, ethnic political parties want to establish a federal system that guarantees their political, economic, social cultural and religious rights. Furthermore, the reservation of a quarter of all seats in the legislatures for Tatmadaw appointees is an undemocratic anomaly that requires reform agreement between political and Tatmadaw leaders. But there is presently little expectation of major constitutional change before the next general election in 2015. In the meantime, there are concerns that ethnic politics will continue to be eclipsed on the national stage. This would be a historic mistake. As in previous political eras, the marginalisation of ethnic interests will only sustain grievance and conflict, further perpetuating the risk of state failure. As for the ethnic armed resistance movements, reeling from the unexpected loss of their commercial and strategic advantages resulting from China and Thailand’s reversal of their Burma strategies, the legitimate ethnic resistance movements saw the ceasefire as not designed to be a step towards lasting peace and reconciliation, but rather as a part of the junta’s long-standing policy of ‘divide and rule’ along ethnic lines. Obviously the resistance long-standing ties with the Thai and Chinese governments were quickly cut when it became clear that, post-Cold War, the new focus would be on business. The logic of and zeal for economic growth – and the resultant twofold needs for reliable flows of natural resources and energy and new consumer markets – has subsequently come to dictate the behavior and priorities for virtually all national governments. Having failed to vanquish their nearest enemy with domestic and Western support – namely, Suu Kyi and the NLD – they have now gotten her, along with Burmese commercial and technocratic elites, on board Naypyidaw’s carefully choreographed market reforms. Meanwhile, anti-Chinese Western and ASEAN commercial and strategic interests are converging nicely in the generals’ favour. Since China’s attempt to claim much of South China Sea, ASEAN members, especially the maritime members, have made concerted efforts to help expand the West’s (particularly Washington’s) involvement, in their region as a counterweight against the growing might and wealth of China. Both ASEAN and Washington deem it to be within their converging interests to ensure that the Burmese generals do not tilt any further towards Beijing’s strategic orbit. For the first time since the ethnic rebellions broke out 60 years ago, the Burmese military today finds itself in the best position to make peace deals with the non-Myanmar resistance organisations. These will be offers the ethnic communities cannot refuse. To be frank, the Generals are considering adopting a loose federal system to end the conflicts with the country’s numerous ethnic armed groups, said the Union Minister Soe Thane cited the federalist system in use in Germany, as a possible model, in response to a question posed during a debate with opposition leader Aung San Suu Kyi, staged by the BBC at the World Economic Forum (WEF) in Burma’s capital Naypyidaw in 2013. “Democracy and ethnic rights must go side by side. Democracy cannot live without ethnic harmony,” adds the former student activist, Kyaw Kyaw, recalling an ABSDF slogan from the 1990s, when the group allied itself with various ethnic armies after fleeing the crackdown on nationwide pro-democracy protests in 1988. However, if one visits ethnic areas, particularly those under the control of ethnic armed groups, one will readily understand why they feel a need to fight against the Tatmadaw, that 60 years after Burma achieved independence. Few of these places, however, are accessible to foreigners or even Burmese holding foreign passports. And for ordinary Burmese to venture into any of these areas is to risk arrest and imprisonment under Article 17/1 of the Unlawful Associations Act, which prohibits contact with organisations, deemed to be threat to state security. Burma needs than administrative changes are needed to bring about lasting peace in Burma. Historian and founder of the Rangoon Heritage Trust, Thant Myint U said that Burma needs to build a more inclusive identity that transcends ethnic differences. “It should not just about Myanmar against versus ethnic nationalities,” he told the WEF meeting warning that Burma’s ethnic rivalries could undermine the current political and economic transition. “It is critical for us all to get beyond ethnic identities.” Even though most freedom fighters have signed ceasefire agreements since reforms began in 2011, this law remains in force, ensuring that most Burmese will never risk communicating with ethnic armed groups or even people living within their territories. This is deeply unfortunate, as it prevents people from Burma’s cities from ever gaining an understanding of why ethnic rights mean so much to many of their fellow citizens. If we look back at Burma’s history, we can see that the country would never have become independent without the common assent of the Myanmar majority and the non-Myanmar ethnic nationalities. It was the Panglong Agreement, signed by Gen Aung San and leaders of the Shan, Kachin and Chin peoples on Feb. 12, 1947 but the failure of subsequent Myanmar -dominated governments) to honor this agreement that caused Burma to fall into civil war. Myanmar continue to assume a central place in Burmese politics, whether as power holders or as members of the democratic opposition. The NLD and other opposition groups are dominated by Myanmar and those groups that do have majority populations of non-Myanmar are always labelled as such, for example, the Shan National League for Democracy. Myanmar also maintains a privileged position in the international perception of Burmese politics. Many observers have called for a tripartite dialogue, between the military government, the NLD led by Daw Aung San Suu Kyi, and the ethnic nationalities Non-Myanmar. Left unquestioned is the assumption that the NLD, as the pre-eminent opposition party, implicitly represents Myanmar interests and not that of the ethnic nationalities. Hence, the ethnic nationalities must be very wise and wary in swimming among the sharks. Education, general knowledge and awareness must be always maintained in this digital world and now be swayed by the economic incentives, bribes and threats. Even as I am writing this Tatmadaw, continues their offensive against the KIA also during the Christmas, knowing full well that the Kachin people are Christian and surprisingly the UNFC is silent. This raise the logical question of what will happen if Tatmadaw attack KNU in 5 years, when they have fortified most of their bases and positions with concrete bunkers and construction of Heli-pads? Personally, I construe that the non- Myanmar ethnic nationalities political and resistance organizations should take the initiative of taking the Panglong Concordat to the legal authority of ICJ (International Court of Justice the UN court in the Hague) to counter the regime's attempts, to so-called "Ceasefire Agreement", as no foreign government or international organization have recognize the Panglong Agreement.